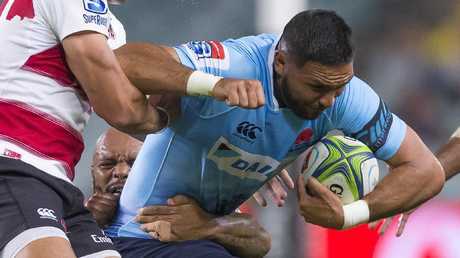 THE Waratahs' credentials as a genuine contender have been dealt a major blow with the team failing to score a point for the first time in its 23 seasons of Super Rugby. 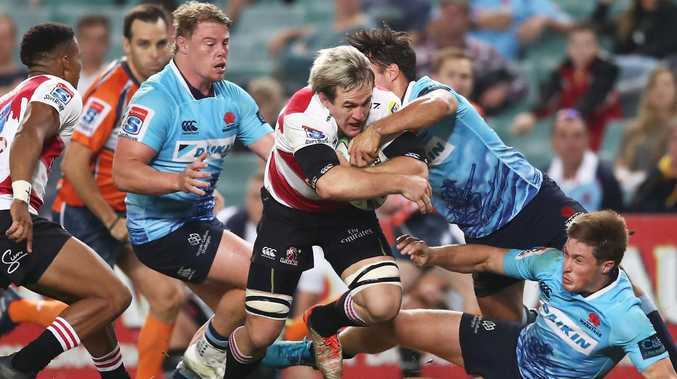 On a four-match winning streak coming into their clash with the Lions, the Tahs were hoping to win five on the trot for the first time since NSW's historic 2014 season. But instead they were handed a 29-0 loss and a far more embarrassing milestone. 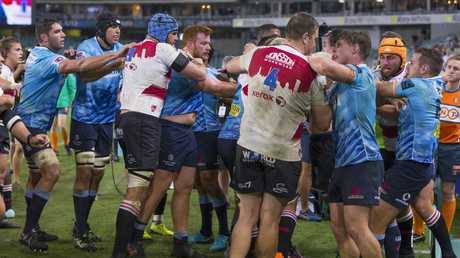 In failing to bother the scoreboard attendant, the Waratahs made history by not scoring a single point for the first time in 304 games of Super Rugby played by NSW teams since professionalism began in 1996. The clash got a bit tasty after the fulltime whistle. "It's burning," Waratahs captain Michael Hooper said when asked for his feelings on that unprecedented zero. 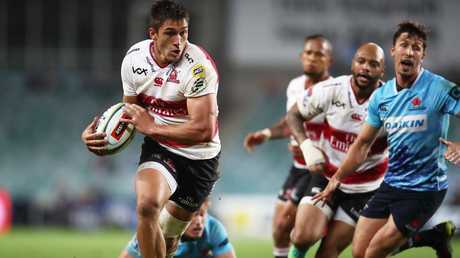 The Johannesburg-based Lions were a class above in their four-try demolition of the Waratahs, defending strongly and using their set-piece and mauling strength to build steel-bending pressure in the NSW quarter. The Lions scored one try in a featureless first half but then pushed away in the second by scoring another three. But while the 2016-17 Super Rugby grand finalists were good, they had a handy ally in the guys in sky blue jerseys. The most effective part of the Waratahs' game was pressing the self-destruct button with such consistency, mostly at the point they'd created a chance or seemed to be building some pressure and territory. The crowd could only groan as the Waratahs continually gave the Lions the ball and a free pass into their half with errors, sloppy breakdown work and cheap turnovers. Coach Daryl Gibson bemoaned a lack of finishing, but at the core of the Waratahs' problems was a more generic lack of urgency and intensity. Lions star Harold Vorster charges through the Waratahs defence. The zero was a flaming cherry on top but the loss itself was a huge blow to the Waratahs' claims to be a genuine Super Rugby contender, particularly after saying this week it would be a big examination of where they stood in Super Rugby. 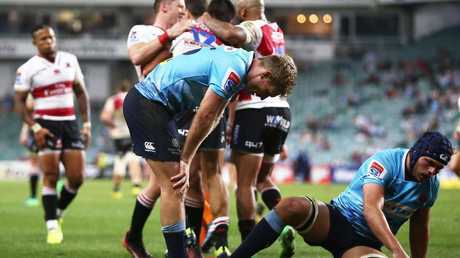 After the Lions arrived in Sydney on Wednesday night, and were missing two Springboks in Warren Whiteley and Jaco Kriel, this was a game the Waratahs had to win to be taken seriously. The bad news? After the Waratahs' bye next weekend comes four games on the bounce against Kiwi teams. Gibson said the team would rue not converting several chances to score in the opening quarter and the fact their own errors had let the Lions get on top as the game wore on. "Full credit to the Lions. They were the better team tonight and they showed it on the scoreboard," Gibson said. "There is a lot of soul-searching going on in our changing room, and it is good for us. We have had a decent run but came up well short tonight. "Is it a true reflection of where our side is at? I am not sure. One thing we will do is really have a good close look at how we come away from this game with those learnings." Curtis Rona tries to ger the Waratahs going forward. Hooper said the scoreboard was "ugly, unfortunately". "You have to take those opportunities. They're top of the table and if you can't keep pressure on them they'll run away with it," he said. 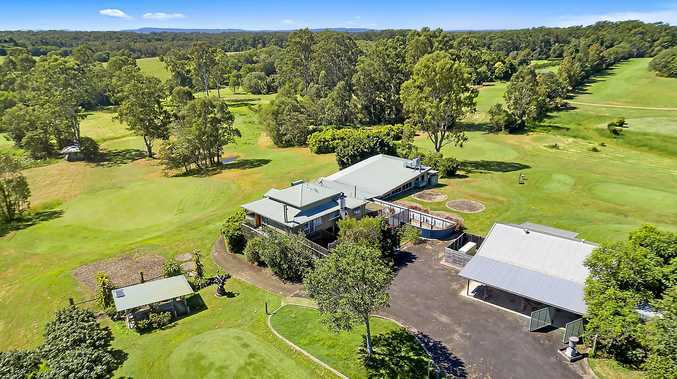 Hooper said the team would not lie down and curl up, and Gibson said Israel Folau would likely return against the Blues at Brookvale Oval in two weeks. "This week will be good for us. The next few days there will be a bit of soul-searching but we will make a pact to move on and draw from this," Hooper said. The clash with the Blues shapes as yet another critical one for the Waratahs. The Auckland-based team is struggling this season and a Kiwi scalp of any kind could have a huge impact on the team's psyche and confidence. It was a tough night at the office for Michael Hooper and Michael Wells.